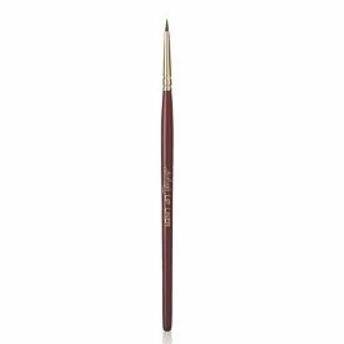 Audrey's lip filler brush,it has soft tapered and fine bristles which are ideally shaped for lip color outlining and creating a professionally applied look. The bristles of Audrey?s make up brushes are made with a super-soft man made fibre called TAKLON. These luxuriously soft, fluffy brushes made with Taklon do not have irrigular surface like natural hair, therefore Audrey's brushes do not trap powder,dead skin and bacteria ,making them hygenic and easy to clean.